I’m all for time-saving, eco-friend, low cost, diy, etc. So with us moving towards using less and reusing what we have used, I found a really nice idea to help me water our gardens. These little bottles will also help me teach my boys to save water and water plants wisely. Our local newspaper, the Daily Dispatch, run this article this morning. Deadly weeds choke Nahoon river – A noxious water weed is once again choking the life out of the Nahoon River, which is home to myriad species including bass, geese, fish eagles and otters. Water hyacinth (Eichhornia crassipes), one of the world’s worst aquatic weeds, first threatened the river’s ecosystem last year. Now the out-of-control alien plant has blanketed large stretches of the river, with the worst outbreak occurring near the causeway that links Dorchester Heights to the Stutterheim road. Residents living along the river bank have now questioned the municipality’s efforts in keeping one of East London’s most popular rivers unpolluted. Joan Hempel, whose farm borders the river, said: “I am dismayed at the state of the Nahoon River. The rapid growth and spread of the hyacinth has already affected the wildlife. “It seems the entire ecosystem is being choked and destroyed by this alien invader plant.” Hempel has sent numerous reports to the Department of Water Affairs hoping to pressure government to act. “To date no one has responded or reacted to my report. I was hoping to alert them to the alarming spread of the plant. Andrew Lucas, Department of Water Affairs provincial director of water regulation and use, said clearing invasive alien plants was the responsibility of land owners. Lucas said if the land belonged to the municipality, it was the responsibility of the Working For Water team. “I have not investigated the areas myself but the influx usually stems from residents,” he said. Ok, so if Water Affairs doesn’t want to help the river then what? A classic case of passing the buck, our politicians are very good at doing that. Pity they are not as good at anything else. When not controlled, water hyacinth will cover lakes and ponds entirely; this dramatically impacts water flow, blocks sunlight from reaching native aquatic plants, and starves the water of oxygen, often killing fish (or turtles). The plants also create a prime habitat for mosquitos, the classic vectors of disease, and a species of snail known to host a parasitic flatworm which causes schistosomiasis (snail fever). Solution – I will definitely be sending our political parties a strong email. What nonsense is this passing the buck, if it isn’t your mandate then help us to get the right people in to fix the problem. Be part of the solution, Don’t add to it – silly man. Since the plant has abundant nitrogen content, it can be used a substrate for biogas production and the sludge obtained from the biogas. However, due to easy accumulation of toxins, the plant is prone to get contaminated when used as feed. The plant is extremely tolerant of, and has a high capacity for, the uptake of heavy metals, including Cd, Cr, Co, Ni, Pb and Hg, which could make it suitable for the biocleaning of industrial wastewater , , , . In addition to heavy metals, Eichhornia crassipes can also remove other toxins, such as cyanide, which is environmentally beneficial in areas that have endured gold mining operations . 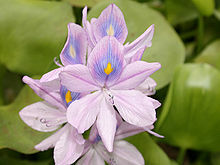 Water hyacinth is also observed to enhance nitrification in waste water treatment cells of living technology. Their root zones are superb micro-sites for bacterial communities. Food for thought – this weed is not all bad, it’s just not any good in our Nahoon river. An import bit of information, that I will include in my emails. I hate throwing away money on disposable items, paper cups, plates, serviette etc are all horribly wasteful and such a waste of money. I spend well over R300.00 a month on tampons and pads every month during my period. I hate that thought, I am 28, I started my periods at 13, so for the last 15 years, I have spent a staggering R54 000.00 on flushing things down the toilet. What a waste of money and resources! This little wonder product can be used for years and because your initial outlay is a once-off payment – R340.00, you don’t have to run off to the shops every month to stock up. An added bonus, there are no harmful chemicals, no fluff, plastic or wrapping to cause damage to your body, eliminating the chance of TSS, fungal infections and general bad ingredients finding their way into your very private places. Basil is one of the most versatile herbs with sweet basil being the most commonly grown. It needs average soil, sun and semi-shade and is frost sensitive. Culinary uses: Pasta sauces, stews, soups, salads, pizzas or blend basil with pine nuts to make pesto. It goes very well with tomatoes. Medicinal uses: It is quite useful for exhaustion and digestive upsets such as stomach cramps, constipation and diarrhoea. Drink basil tea to relieve tension and migraines or rub the fresh leaves on your temples for headaches. Crushed basil leaves can be used to take the sting out of insect bites. Cosmetic uses: Crushed basil leaves will stimulate hair growth. Use in bath oils. Other uses: Bunches of fresh basil hung in the kitchen will keep flies away. Dried basil stalks burnt on a fire can keep the mozzies away. Lemon grass can grow in any soil and doesn’t need a lot of water. It is inactive during the winter months and sensitive to frost. Parts used: The stems, leaves and essential oils. Culinary uses: Soups, marinades, stir-fries, curries, salads, coconut milk, rice and as an alternative for lemon rind and to flavour tea’s and drinks. The stems can be kept in the fridge for 2 – 3 weeks if wrapped in a paper bag or wax wrapped. Medicinal uses: Used in a tea it has a calming effect and can soothe the digestive system and relieve stress. Cosmetic uses: Makes a good facial steam for teenage skin. Great for treating an oily skin or oily hair: one cup of fresh lemon grass and two cups of boiling water. Rosemary will grow in most types of soil but prefers light, sandy soil with good drainage and a sunny spot. It can tolerate cold temperatures. Rosemary has more fragrance if you pick it and leave it for a few days. Rosemary and sage are good friends and will grow well together. Culinary uses: Meat (especially lamb), bean and tomato dishes (use sparingly as it’s a strong herb). Use the twigs for kebab skewers. Medicinal uses: Drink as a tea for migraines and cramps. Also treats blood pressure problems, jaundice, vertigo, gout, aching joints, obesity and toothache. Use the oil externally as an antiseptic for sores and wounds. Cosmetic uses: Good rinse for dark hair, can reduce falling hair and treat eczema on the scalp. Use as a mouthwash and facial steam. Known to remove freckles and wrinkles: Boil 50g flowering rosemary tips in 500ml white wine for 2 minutes. Leave to stand for 1 hour, strain and apply to your face with cotton wool twice a day. Other uses: Fish moth repellent in cupboards/drawers. The stems will keep your linen smelling fresh or keep mozzies away when tossed in a fire. Chillies are easy to grow and varies from very hot to mild. It requires full sun and rich well drained soil. Water frequently, especially when in flower. Feed with a liquid fertiliser once a week; sensitive to frost. Parts used: Fruit. Culinary uses: Add to chutneys, pickles, Indian, Mexican and Thai dishes and of course on pizzas! Medicinal uses: eases digestive problems, chronic pain and cluster headaches. A herb you either love or hate. It likes loose, rich, composted, well-drained soil. Water it well in dry weather, although the roots must not be saturated. Withstands frost, summer storms and cold winds. Parts used: Leaves, seedpods and flowers. Can be stored in a plastic bag in the fridge for up to 3 days. Culinary uses: Soups and stews, salads, sandwiches, sauces, marinades, garnish. Particularly good with tomatoes. Medicinal uses: It’s a great tonic, can be used as a cough remedy when boiled in honey, prevents colds and treats fluid retention, anaemia, digestive upsets and bladder ailments. Other uses: Treat skin blemishes and makes a refreshing foot bath. Can be used as plant food. Add to compost heap or plant around your compost heap. 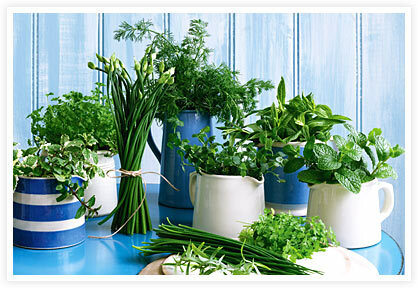 Don’t let it loose in your herb garden, it takes over, rather plant it in a pot, not too small. It should be repotted yearly, preferably in spring and watered daily. It needs sun / partial shade, moderate temperatures and rich, well drained alkaline soil. Keep different types of mint apart; prevent interbreeding by keeping the flowering heads cut. Peppermint and spearmint are the two most widely used mints. Culinary uses: Sauces, jellies, vinegar, green peas, potatoes, garnish or use as a refreshing tea (avoid jewel mint or pennyroyal as they are bitter). Goes well with lamb dishes. Medicinal uses: Pennyroyal should not be used by anyone suffering from kidney problems or by pregnant women, use other mints instead. Colds and congestion: Pour a litre of boiling water over a cup of fresh mint springs, cover your head and the bowl with a towel and inhale. Make a peppermint tea to help digestion, colds and influenza. Crush the leaves in oil and massage the affected areas for migraines, rheumatism and muscular aches. Use peppermint oil on bruises and scratches. Cosmetic uses: As a hair conditioner for oily hair, and it can heal rough/dry hands and feet. Add to bathwater to easy tiredness and aches and pains. Other: Pennyroyal in cupboards and beds as an insect repellent for ants and fleas. Bunches of mint in your kitchen will keep flies away. Peppermint can be rubbed into the skin to keep mozzies away (test on the wrist first). Parsley needs a sunny spot and rich, moist soil. Parts used: leaves and stalks. Don’t grow parsley close to tomatoes or roses to keep them free of insects. Culinary uses: Soups, stews, sauces, garnishing. Medicinal uses: Parsley tea treats kidney and bladder infections and can be used as a slimming aid. Don’t take more than one cup a day and don’t use for more than 5 days. Parsley juice can have a soothing effect on eye inflammation and conjunctivitis. It has oestrogenic factors: control menstruation and help menopause. Crushed, warmed leaves will treat insect bites. Other uses: Breath freshener after eating onions or garlic. Sunny spot with poor, well drained soil. Grows best in frost free areas. Aloe can be grown in a pot and only the herbs older than 2 years should be used for its properties. Medicinal uses: Healing of wounds: burns, blisters, sunburn, heat rash. Aloe is known to stimulate the immune system, treats constipation, indigestion, eczema and fungal infections like ringworm and thrush. It should not be used by anyone suffering from piles. Cosmetic uses: Can be used in a moisturising cream, shampoos (for dry and itchy scalp) and in suntan lotion. These pretty flowers makes for powerful medicine. Camomile is easy to grow and likes partial shade and light as well as well drained soil. Pick the flowers often to lengthen its spring life. A great companion for most plants. Culinary uses: Add chamomile tea to granadilla juice for a relaxing drink, can be served as an after-dinner drink to ease indigestion. Medicinal uses: Relieves stress, anxiety and digestive problems, improves immunity, treat inflammations of the skin and other skin disorders (surgical wounds), diarrhoea, insomnia, headaches and in babies: colic, vomiting, teething problems, restlessness. Cosmetic uses: Can makes hair lighter and promotes hair growth. Use in a facial steam or a soak to soften hands. Add to your bath for a relaxing treat or to soothe sunburn. Needs filtered shade and rich, moist soil. Dies down in winter and needs to be cut back hard to encourage new spring growth. Culinary uses: Teas, soup, milk, custard, sauces, fruit salads, refreshing drinks, puddings, poultry, fish and cheese dishes. It compliments cucumber, celery and asparagus. Freeze in ice cubes to decorate drinks. Medicinal uses: Treats insomnia, herpes and digestive problems, cold sores, eczema, depression, anxiety, fear and improves concentration. Soothes insect bites. Cosmetic uses: Use in a facial steam (it apparently slows down the aging process!) and improves oily hair. Mix with aqueous cream to soothe aching feet. Other uses: Bunches of lemon balm will deter moths. Use green leaves to polish wooden furniture. This herb needs full sun and grow in any soil although it prefers it dry. Parts to use: leaves and sprigs. 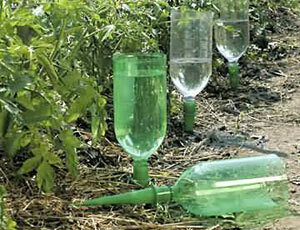 If planted near fruit trees it will repel fruit flies and fruit moths. Medicinal uses: It treats menstrual disorders and has antiseptic properties (rashes, scratches and grazes). Use as a bitter tonic: coughs, bronchitis, mucus, congestion. Eases pain and swelling. Cosmetic: Use as a rinse for greasy hair, when combed through hair it can stimulate hair growth. Other: Potent flea and moth repellent. Very effective in potpourris. Sprinkle dried, powdered Southernwood around ant holes to combat ants. Easy to grow and needs full sun. Parts to use: Whole plant and leaves. Medicinal uses: A powerful migraine preventive, treats digestive problems, relaxes spasms, reduces fever, has laxative effects, deals with menstrual problems and relieves period pain. Take Southernwood after childbirth to encourage the cleansing of the uterus. Other uses: Mouth rinse, household disinfectant, moth / insect repellent. Plant lavender in containers (small batches) as it has the tendency of taking over. It likes a sunny spot and dry, well drained soil. Can be badly affected by frost; cover the lavender with grass. Culinary uses: Flavour jams and vinegar. Great addition to marinades for game. Use crystallised flowers for garnish. Medicinal uses: In oil as antiseptic for insect bites and stings. A lavender-stuffed pillow aids sleep and will calm a restless child. Lavender tea will treat headaches and relieve anxiety. Lavender water makes a great mouthwash. Cosmetic: Treats acne. Use oil for massaging muscular aches and cellulite. Other: Insect repellent: it will repel fish moths and draw butterflies. The leaves and flowers can be used in little netting sachets to keep your linen smelling fresh. Dried lavender leaves and flowers can be used for potpourri. Place on fires in winter for a lovely scent. Spread your washing over your lavender bushes for a lasting fresh smell. I’m all about economical, easy, non-toxic alternatives, so when I find something that would work will in our home and be safe to use in our water recycling system, I’ll definitely give it a bash. I found some awesome recipes that would be perfect for Valentine gifts. What makes these recipes different from others I have found, is that they don’t require any specialised equipment, ingredients or knowledge. If you are not sure about how to use essential oils, the sales people at the store are the best to ask and will help you as much as possible. 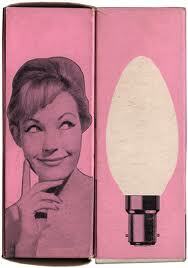 Use natural caution and discontinue use of products if irritation occurs. All the recipes can be found at http://www.safecosmetics.org, email me if you would like the PDF version emailed to you. Show your face, your feet or your muscles some love with safe, natural, toxin-free spa concoctions and personal care products. We’ve compiled some of our favorite safe cosmetics recipes below. Test these recipes out at your very own Safe Cosmetics Party. If you have a favorite recipe of your own, e-mail us! We’d love to try it out and share with others. The necessary ingredients are usually affordable and not hard to find in organic or natural form. The benefits of making your own cosmetics will be immediately evident: your new products will smell and feel good, and so will your skin. There are no preservatives in these recipes so take a few precautions to avoid contamination by bacteria. Melt the beeswax and carrier oil together in the top of a double boiler, stirring to combine. Remove from heat; add honey and essential oil. Mix thoroughly so the honey does not clump. To add a little color, stir in a tiny dab of lipstick with a coffee stirrer. Pour the mixture into containers; let sit 20 minutes before covering or moving. For glossier lip balm, use 2 teaspoons wax and 8 teaspoons carrier oil. This decadent mask is actually an excellent moisturizer – it leaves your skin baby soft. Recommended for normal skin. Recommended for dry skin, this is particularly soothing on sunburned skin. – Beat the egg in a small bowl until frothy and well-mixed. Slowly add the liquid coconut oil and honey, beating until your mask is the consistency of mayonnaise. – Take an empty toilet tissue roll and set it on end in a clean bowl. Spoon mixture into the cardboard toilet paper roll. Place tube, in the bowl, in the freezer overnight. – To use, peel away just the top 1/4 inch of the cardboard roll and smooth the frozen stick over your face (think of it as a push-up pop). Leave your mask on for 5 to 10 minutes, then rinse off with warm water. This mask is rich in vitamin E, beta carotene, antioxidants, calcium and protein, ingredients that may help rebuild skin collagen, fade age spots and improve tone and texture. -Puree the cucumber in a blender (leave a little pulp), then strain the mixture into a glass bowl until you have at least 2 ounces. Spoon in just a tad of the pulp from the strainer. Add the aloe vera to the cucumber puree in the bowl and mix lightly. Pour into a clean, sterilized container. Remember, not every cause of acne is the same, so you need to try different remedies and masks until you find the ones that work for you. 1. Steam your face for five to 10 minutes to clean the pores with hot infusions of lavender, camomile or thyme. 2. Rinse your face with honeywater, rosewater or a dilute infusion of marigold tea to tone and close the pores. This is so easy to make and can work wonders if your skin likes it. This is simple and quite frugal. The mask is supposed to tighten skin and eliminate red spots. Egg yolks contain vitamin A which is reported to reduce scarring. Check availability of these unusual ingredients before you get started. Combine all ingredients and stir thoroughly. Apply the mask to your skin. Let mask dry and harden, about 30 to 40 minutes. Soak a small hand towel in warm water and lay it across your face. This warming foot scrub is great for the winter, and leaves your feet feeling soft and relaxed. Try one of the following combinations of essential oils in a warm (not hot) bath or as a massage oil. Use therapeutic grade essential oils for the best results. 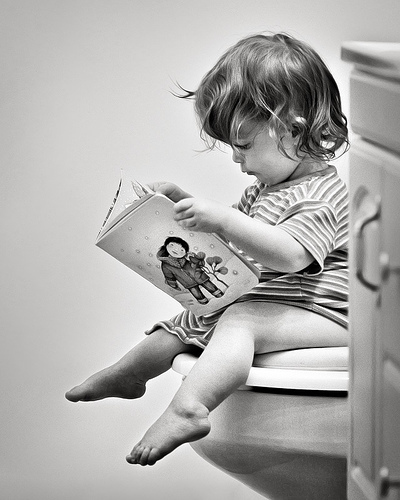 -Draw the bath first, add the essential oils, swirl them around with your foot, get in and relax. Allow yourself 10 to 20 minutes. Do not get the bath water in your eyes, as the oils will sting. Use this formula up to once a day for 3 days a week over a two- to three-week period. Before taking a shower, brush your skin gently. This exfoliating will stimulate blood circulation and aid in skin absorption. For best absorption, apply the body oil while your skin is still moist. This combination is ideal for skin that has been exposed to too much sun or for extra-dry areas, such as heels and elbows. -Combine the oils in a sealed bottle and gently turn it several times to mix. Apply as needed. Heat the soy milk and add the grated or powdered chocolate. Stir well until melted and blended, but do not boil. Allow to cool. Mix well again just before adding to your bath. The red wine and the honey together clarify and moisten. From the Spa at Grove Park Inn Resort & Spa, Asheville, N.C. Combine ingredients and massage into skin. Wrap targeted areas of the body (arms, legs, back) with a towel to lock in body heat. Lay a heating pad over each treatment area for five minutes at a time. This recipe makes 4 to 6 bath bombs. You can buy molds in craft stores or online. Do not oil the molds beforehand; just make sure they are clean and dry. Sieve the dry ingredients together until they are well blended. Measure and combine all the wet ingredients and borax in a clean jar. Cover tightly and shake vigorously. 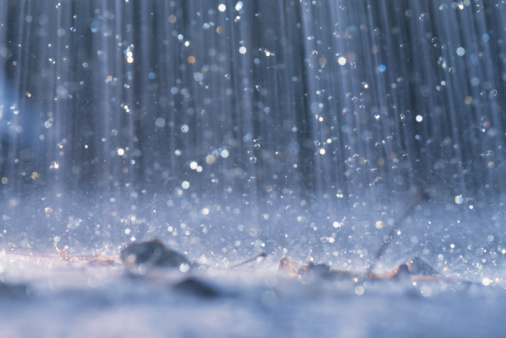 Slowly drizzle the wet ingredients into the dry ingredients, gently stirring to prevent the reaction from starting. Make sure you mix in all of the wet ingredients. Afterward, you’ll find that the mixture is dry and crumbly and has to be packed in the molds quite firmly to keep shape. The mixture should just start to hold together when pressed in your hand, like slightly moist fine sand. You can unmold the bombs after 30 minutes, and let them dry for a few days before using them. Store them in a dry place. Many people react strongly to store-bought deodorant. What we need is a simple, home-made version! Watercress appears to work on oily hair because it is rich in iron and phosphorus as well as vitamins A, C and E.
To avoid heavy metals and other potentially harmful unknown ingredients in traditional Halloween face paint, try making your own using food-based ingredients. Remember, foods can cause allergies in some kids: always test your concoctions on a small patch of skin and read up on natural food colorings before sending your little ghouls out for a night of painted fun. And don’t forget that some foods can stain skin and clothes. Natural food coloring is available at health food stores and typically derived from foods and spices. We recommend reading up about natural food colorings and potential allergies first. Do not substitute conventional food coloring, which may contain synthetic chemical ingredients. Mix a few drops of natural food coloring into the base ingredient of your choice. Test on a small patch of skin before applying to face or body. Make sure young children understand they can’t eat these paints unless you make them without the base. Test a small patch of skin first to make sure your child isn’t allergic to the food you’re using. Yellow: Add 1/4 tsp. and a large pinch of stale turmeric to base. Pink: Using a sieve, mash the juice from 3 fresh or thawed frozen raspberries, blackberries or beets directly into the base. Or, use a deeply colored berry juice or puree. Mint green: With a fork, mash 1/4 of a small avocado until creamy. Mix this into your base. Emerald green: Add small amount spirulina or bright green chlorophyll to base. Purple: Using a sieve, mash the juice from several fresh or frozen blueberries into the base. Or, use blueberry juice. Brown: Add cocoa powder or chocolate sauce to base. Black: Use a small amount of squid ink in base for true black. White: Mix powdered sugar and water. I found this awesome recipe on http://www.diylife.com. Looking for a gentle alternative to chemical-based interior paint? Stir up this simple, four-ingredient recipe. Milk paint transformed this old cassette cabinet into a charming powder room organizer for storing towels, tissues, and toiletries. Cavemen did it. The early Egyptians did it. American Colonists did it. And even today, many people are rediscovering the art of making interior paint for the home. In an age of store-bought paints with high performance finishes, you may ask yourself, why make paint? For me, it’s the natural, handcrafted look — along with the satisfaction of being self-reliant. 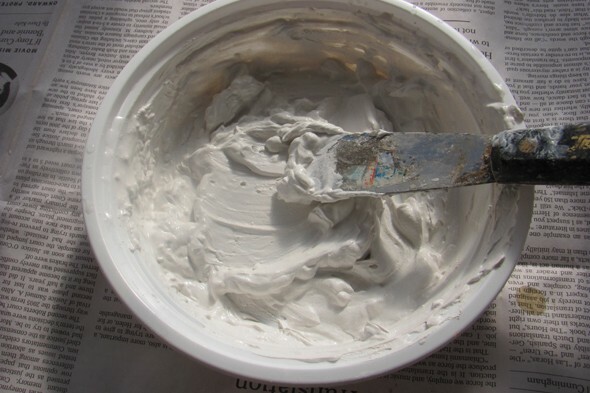 For others, it may be because homemade paint is the greenest and least toxic alternative possible to traditional paint. 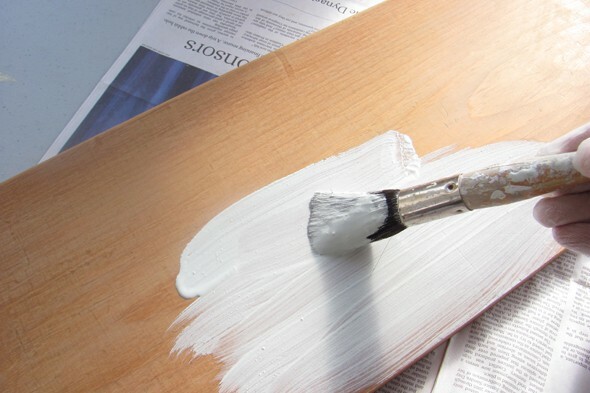 Homemade paints aren’t based upon petrochemicals and they’re far less toxic than commercial paints — even the many zero-VOC paints now emerging on the market. 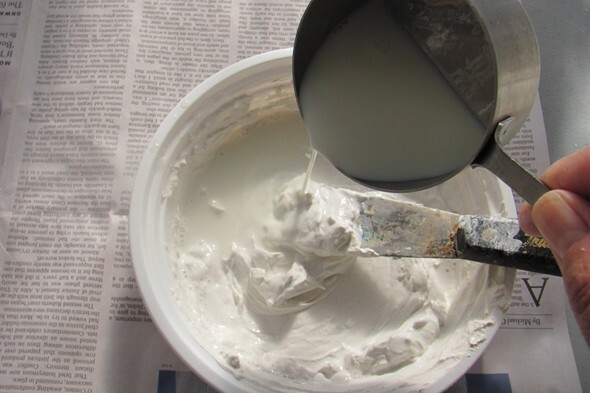 Mix lime with water using a putty knife or plastic spatula. 1. Fill a container with one to two cups of hydrated lime. Gradually add water and stir until you have a thick paste. 2. In a separate container, do the same with the pigment powder. For a small batch like this, 2 to 4 tablespoons of pigment is typically sufficient. 3. Gradually add milk to the lime paste until you achieve the consistency of sour cream. Then add the pigment paste and mix thoroughly. Safety tip: Despite the relative low toxicity of the ingredients, wear vinyl gloves and a dust mask when working with lime and pigment. Gradually stir milk into the lime paste until you achieve a consistency of loose sour cream. 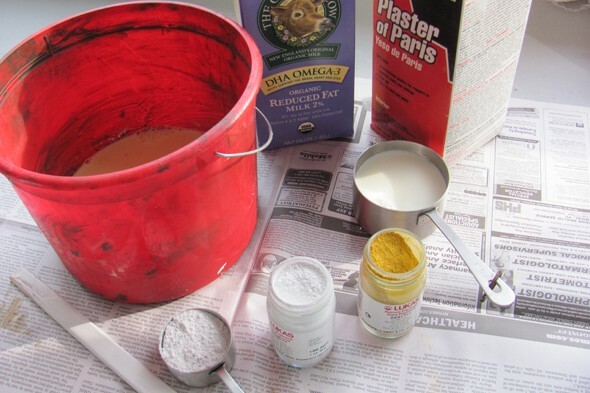 ADDING PIGMENTS TO HOMEMADE PAINT You can buy pigmentsat many hardware and artist supply stores. Avoid using pigments made from toxic compounds, otherwise you’ll defeat the purpose of making your own paint. 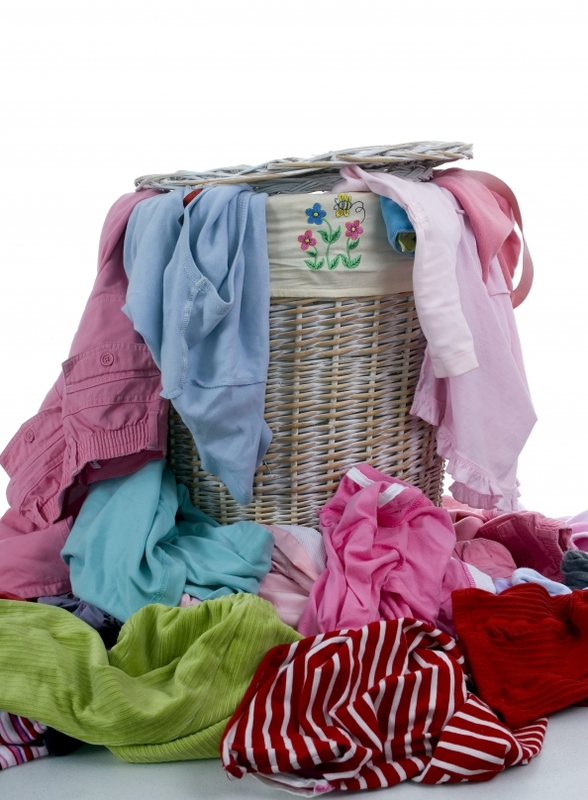 Some common toxins used in pigments include cadmium, lead, mercury, and cobalt. You will have to experiment with pigments to achieve the color you want. Be sure to buy plenty of white pigment, as you’ll be using a lot of it. It comes in two forms: titanium dioxide and zinc. The former is a bit more opaque. You can make many of your own colorants using natural ingredients but the process is a lot more time-consuming than making paint alone. Add water to steel wool for a red rust coloring. Try simmering everything from berries and vegetables to bark and leaves to create the dyes. Blackberries, for example, make a strong dye. — Brew coffee or many tea to create neutral tones. Boil peach or crab apple leaves for greens. Use store-bought juice concentrates, such as blueberry and cranberry, to create pleasing tints. 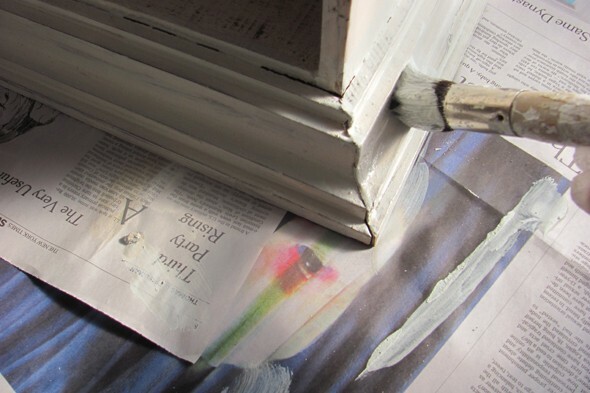 Use a natural bristle brush to apply the milk paint, and allow it to dry for a few hours before recoating.